Can you say Me gusta dibujar (I like to draw)? In this bilingual class, young artists will reap the benefits of learning Spanish while sharpening their drawing and painting skills. 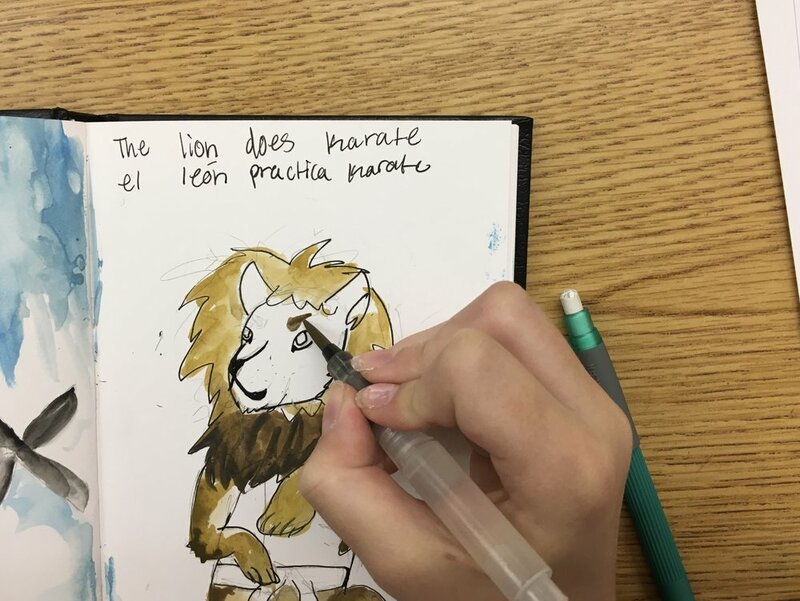 Students will use their sketchbooks to create imaginative scenes that combine the nouns, adjectives and verbs studied every week. 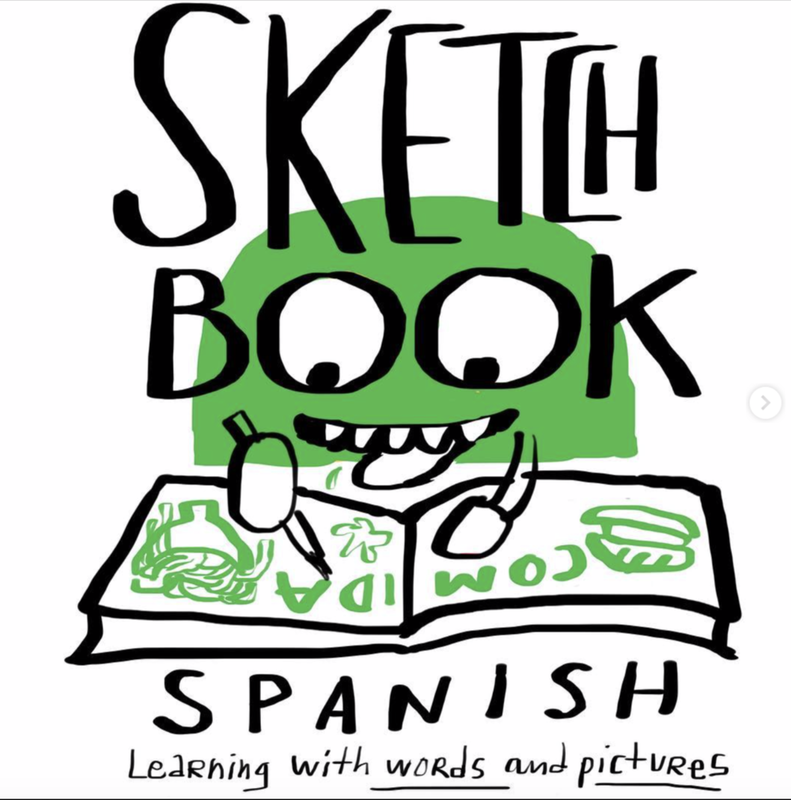 By the end of the four-week workshop, they will have completed the foundation of what could become a life-long learning and creative project: an illustrated Spanish dictionary from A to Z.
Instruction will include basic grammar lessons and drawing and coloring techniques in pen and ink and watercolor. A Stillman & Birn sketchbook and art supplies are included with price of registration, but students are also welcome to bring their own materials. Limit 8 students per class. Ages 12 and up welcome.